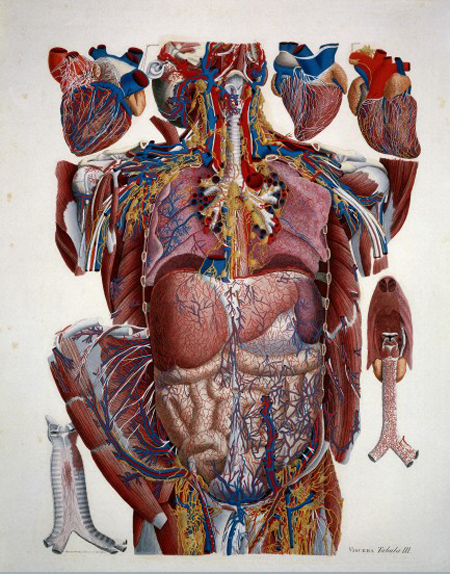 Illustration of human viscera. By Paulo Mascagni. The archive of the Anatomical Society has recently been catalogued and is now available to researchers at the Wellcome Library. 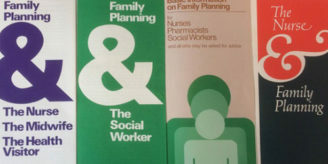 The collection covers the founding of the society until the 1980s, and includes a range of documents on membership, (SA/ANA/C) financial information (SA/ANA/B ) and a considerable amount of correspondence ( SA/ANA/D). 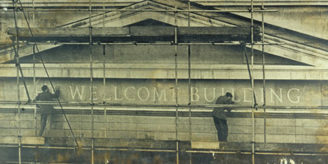 The Anatomical Society of Great Britain and Ireland was founded in May 1887 by Charles Barrett Lockwood, after collaborating with George M Humphry and Alexander Macalister. Lockwood was a surgeon at St. Bartholomew’s Hospital, and taught at the Medical College there, while Humphry and Macalister were renowned Professors and surgeons from the Medical College at Cambridge. The original minutes from the founding meeting in 1887 up until 1982 can be found in SA/ANA/A. By 1890 the society had its first overseas member and in 1894 two women were admitted from the London of Medicine for Women. There have been over sixty presidents of the society, each one serving for just over two years and several have contributed to the advancement of biological and medical sciences. One such president is Professor Johnson Symington who was chair of anatomy at Queens College Belfast, and then appointed registrar of the college in 1901. He published several anatomy atlases, was president during 1903-1906, and the society reprinted an edition of his atlas in the 1950s. There are several awards in his name: The Symington Memorial Prize that was established in 1920 and is given out every 3 years by the society (see SA/ANA/D/11). Another president was Professor George Mitchell, who was involved in the first use of penicillin amongst soldiers, initially distributing and in the Italy campaign, and then helping to give the drug out on D-Day. After the war he was appointed chair of anatomy at the University of Manchester. He was president of the society in 1961-1963 and some of his correspondence from this time is in this collection (see SA/ANA/D/3/3). The society is also associated with the Journal of Anatomy (originally the Journal of Anatomy and Physiology) which was founded in 1865 by Humphry and Macalister. The Journal was independently edited for several years but upon the founding of the society in 1887, this ceased and it became fully owned by the society in 1916, when physiology was dropped from its title. (see SA/ANA/D/9) The society also has another journal: Aging Cell,which was launched in 2002. The society’s aims are to promote, develop and advance research and education of the anatomical sciences. It achieves this through general, annual and scientific meetings, national and international conferences, awards and bursaries, exhibitions and publishing its own journals. In July 2010 the society shortened its name to the Anatomical Society.